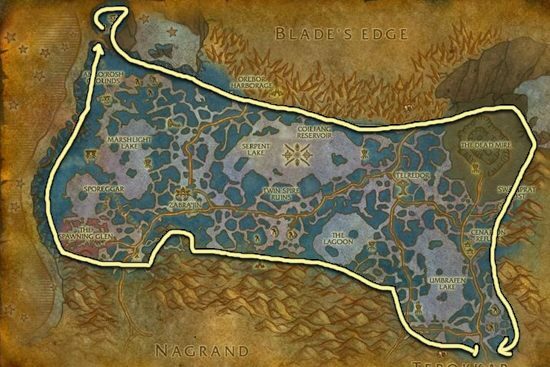 This Fel Iron Ore farming guide will show you the best place for mining Fel Iron Ore. You will notice that this ore is a lot less common than Thorium or any other ores in Azeroth, so Fel Iron is usually a lot more expensive at the Auction House. 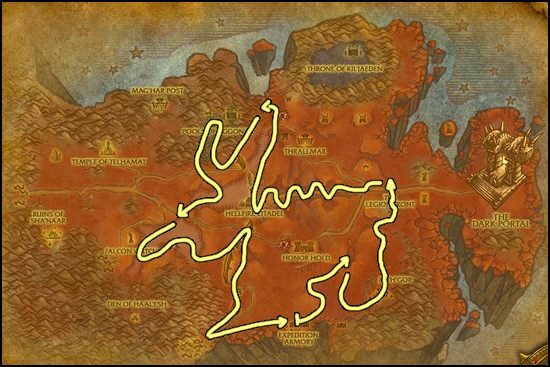 Hellfire Penninsula is the best place where you can farm Fel Iron. The route below is the one that I think will give you the most ore. The respawn time is fast enough that you don't have to go around in the whole zone, but if you notice someone else farming in the zone, you might want to try just to go in a big loop near the edge of the mountains. Once you are done mining Fel Iron, go to my Adamantite Ore Farming page!